< Home | News | Blog | Does your compliance need a facial? When you need to consult with someone about the best facial treatment normally you will go to a dermatologist or talk with your favorite spa aesthetician. They are able to offer you a course of treatment that meets your needs. A facial recognition consultation to discuss compliance regulations is not as relaxing as a trip to the spa but may offer your company an innovative way to improve your compliance posture. We know that that companies works diligently each day to ensure they are compliant with a long list of Federal, State and Local Government regulations. With the addition of new and emerging regulations and standards, such as GDPR, CMS and FERC II and the task of remaining compliant becomes more difficult. Chief Compliance Officers, Human Resource Vice Presidents, and others are responsible for understanding the regulations and implementing appropriate compliance behavior. They are also chartered with monitoring, implementing processes, reporting and certifying that their organization are in compliance and are using “best” effort business practices to achieve compliance. Compliance is a difficult and daunting task as it takes only one incident to call into the question the “best practices” implemented by a company. 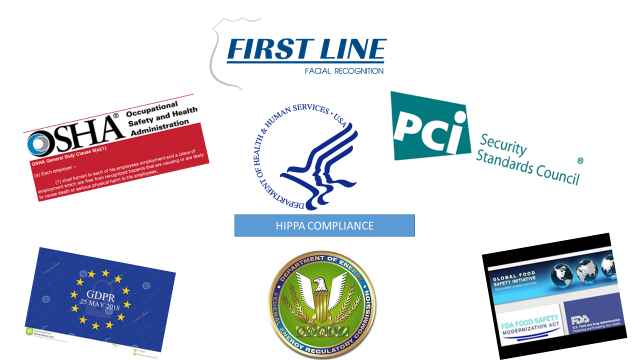 From incidents of; workplace violence, a disgruntled employee removing disk drives or a laptop from a secure data center with the result being private data becomes exposed, gaps in drug chain of custody reporting involving even the simple “in and out” records for pharmaceutical vaults, tampered or tainted food products and employees unwittingly sharing access control credentials. These incidents have all appeared on TV news reports, newspapers, web news sites and social media having a major impact on the company’s brand, its’ legal liability, on the bottom line and in some cases share price. Is it time to give your compliance effort a deep facial checkup and explore if facial recognition with threat detection and deterrence would improve; the safety and security of your employees, add a new “best practice” element surrounding your access control processes and procedures covering entrances, exits, high value assets, and sensitive data and paper records, and add another dimension to how your organization monitors its compliance effort. Using facial recognition automation helps simplify administration of the company policy and raises the level of security, safety and compliance performance. We would welcome the opportunity to tell our “facial” story and the potential to add a new security layer and improve your compliance. 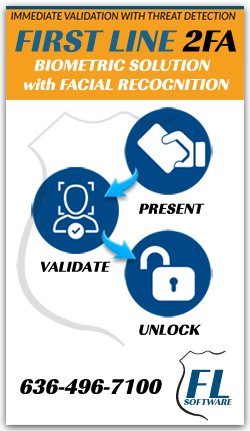 The story outlines how our facial recognition solution has had an impact on deterring workplace violence, enhanced access control safety and security and explore if facial recognition added to one of your current internal compliance process challenges might become the next industry “best practice.” To start a conversation contact us info@bluelinetechnology.com or call us at 636-496-7100.